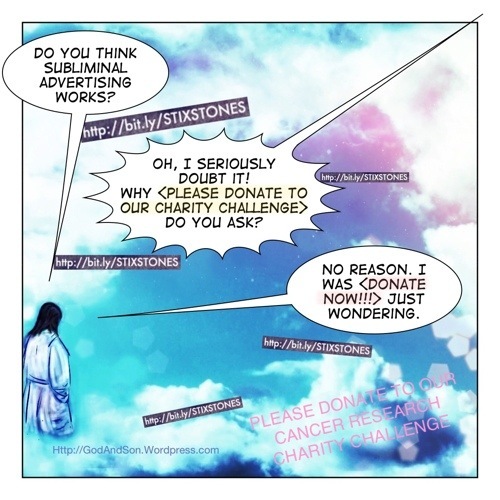 Well, praying isn’t going to work, so I ask those of you with a more sensible attitude to ‘getting things done‘ to kindly help in this Cancer Research charity challenge by spreading the word & donating what you can. There’s even a simple way to donate by text from your phone. Send STIX99 followed by either £1, £2, £3, £4, £5 or £10 to 70070. 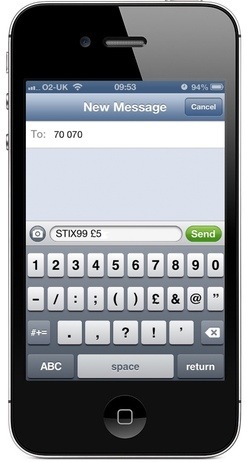 For example, send the message STIX99 £5 to the number 70070. It’s a service run by Vodaphone with JustGiving, and they’ll add a little extra to whatever you donate.